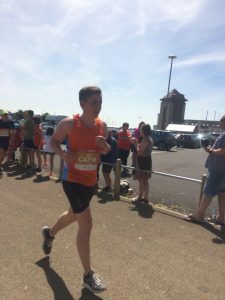 Hobbs Valve’s own Jake Williams has taken on the Swansea Half Marathon and survived! His blisters are well-earned and well worthwhile, however, as Jake used the event as an opportunity to raise money for his chosen charity: Combat Stress. Combat Stress is dedicated to offering mental health support to ex-armed forces members, noting that over the past eight years the number of veterans being diagnosed with PTSD and other mental health disorders has risen by 78%. These are people who have given their all for our country but can sometimes find themselves without sufficient support after their service ends. Jake, from our product development team, completed the run in 2 hours 10 minutes, blaming the hot weather for his time! He’d love it if you would contribute to the charity too; please see Just Giving for more details.